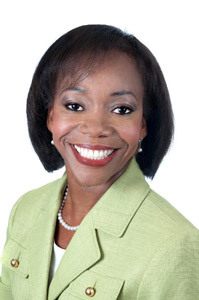 Meet Danbury dentist, Dr. Kemi Gerfen, an experienced dental professional committed to providing optimum dental care. Dr. Kemi Amos Gerfen obtained her D.M.D. in 1995 from Tufts University School of Dental Medicine in Boston, Massachusetts. She then completed a general practice Residency Program at the Brigham and Women’s Hospital in Boston and was subsequently awarded a Postdoctoral Fellowship in General Dentistry from Harvard University. She began practicing in Connecticut in 1997. In June of 2000, she completed a two-year full mouth certification program at the New York University College of Dentistry. Dr. Gerfen is continually educating herself and her staff on the most current dental techniques and equipment to provide her patients with advanced, comfortable, state-of-the-art dental care. Dr. Gerfen is a member of the Academy of General Dentistry. In March 2001 she attained the position of Fellow from the Academy of General Dentistry in recognition of her continued dedication to a tradition of excellence. Dr. Gerfen is also a member of the American Dental Association and was a Panel Meeting Participant at the American Dental Association (Chicago, 2010) in addition to being invited to join the Spear Faculty Club. The Spear Faculty Club is an exclusive group of dentists who have completed the Spear Mastery Continuum and assist and mentor Spear education courses. Dr. Gerfen believes in keeping current with the latest developments in the dental profession, all to provide her patients with the very best in dental care. My name is Dr. Kemi Amos Gerfen. I am a dentist in Danbury, and I am writing this letter to ask you to consider visiting my practice. I have worked very hard to create a practice that my patients, my staff and I can take pride in providing. I truly believe in the quality of dentistry we provide. I graduated from Tufts School of Dental Medicine (Boston), in 1995. I was awarded a Fellowship at Harvard Dental School and completed a General Practice Residency at the Brigham and Women’s Hospital, which is an affiliate of Harvard University. I completed a two-year program at New York University in Full Mouth Rehabilitation (crown and bridge work). I am a member of the Academy of General Dentistry and the American Dental Association. In March of 2001, I completed the necessary post-graduate coursework and training to attain the rank of Fellow from the Academy of General Dentistry (FAGD). I hope that my educational record from top dental programs in the country and my achievement of the FAGD indicate to you my total commitment to excellence in dentistry. Dentistry is my craft and my passion. I am constantly keeping abreast of the latest developments to ensure that my staff and I stay on the cutting edge of the field. I established Soams Dental Care after several years of practicing in the area. Soams Dental Care is part of a Danbury tradition of dental comfort and care. The office is state-of-the-art with staff members who are highly trained and genuinely interested in providing you with the highest quality dental experience. I own Soams Dental Care and am the sole dentist in the office – Soams is not a group practice or part of some regional dental “chain” with owners in another area. A patient at Soams is my patient, and I highly value this personal relationship between dentist and patient. Serving our patients is a privilege, and we never forget that they have a choice in dental providers. Dr. Gerfen can't wait to meet you! Please contact our practice today!